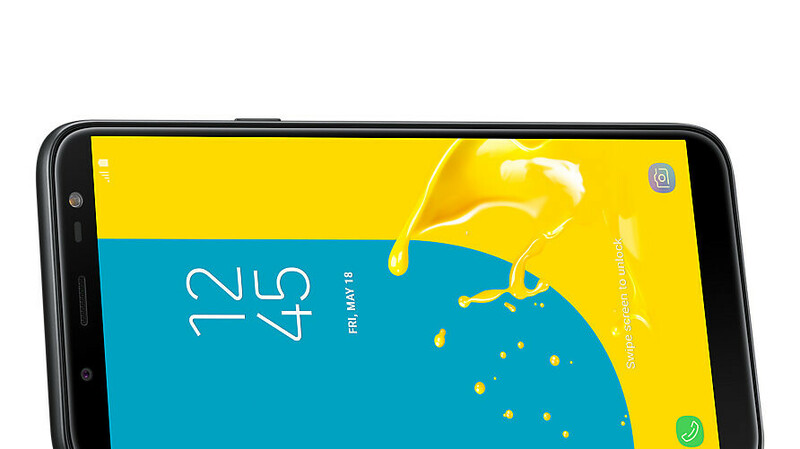 Samsung has already launched the Galaxy J6, a mid-range smartphone that ships with Android Oreo on board and offers quite decent specs overall. The Galaxy J6 sells for around $200 in emerging markets, a tad more in other regions. However, it looks like Samsung is readying a slightly improved version of the Galaxy J6+ aimed at some European markets, namely the CIS (Commonwealth of Independent States) countries and Serbia, but we can safely assume it will be introduced in other regions as well. The difference between the current Galaxy J6 model and the upcoming Galaxy J6+ is that the latter packs a Qualcomm Snapdragon 450 processor, as opposed to the former's Exynos 7870 CPU. Also, it's likely that the phone will come with a dual-camera on the back and a massive 4,000+ battery. We have yet to learn any information about the amount of memory inside, as well as details about its looks, but we do know it sports the same 5.6-inch Super AMOLED display with HD+ resolution as the Galaxy J6. Obviously, the phone runs Android Oreo out of the box and comes with a front-facing camera as well. We don't know when it will be unveiled, but it will probably be quietly put on sale in one of the countries mentioned earlier. Why doesn't Samsung use massive batteries in their flagships?? You can't just compare battery sizes. The 450 is a lower tier 14nm process vs 10nm on the Flagships. It's like when people like at budget phones with giant batteries and assume it'll get insane stamina. These cheap phones have power guzzling processors. And no, higher end SOC's don't consume more power. On the same production node and comparable TDP they consume less. A S450 phone will have better battery life than a S845 phone. The power efficiency gained from the smaller node isn't seen much since the added headroom is used for increasing performance. They do not have power guzzling processors. The exact opposite, actually. Another overpriced piece of crap from Samsung. If they didn't make the best all-round flagships I don't think I'll ever buy a Samsung phone. Probably Samsung and Apple is not for you. There are plenty of other Chinese brands who give a lot more specs with 1/3 of Samsung price. Samsung first is the premium brand of android family and also has a hungry R&D department to feed. But don't worry there are a lot of cheep manufactures as I said (not crap like you said) who used to Copy for free other brand's innovation and destroy the market giving you a cheap price and zero profit for them.